Ziran means naturalness. In one sense, it is about the natural way of the Universe, so you could also refer to this natural way as the Tao. Very often Taoists do not use the term Tao and instead use Ziran, albeit making the translation Chinese texts even more difficult. The next level of Ziran embodies a major Taoist premise that balance is a possibility. Once you become reasonably balanced the ability to tap into the ultimate source from which all the balance derives, whether regarded as Emptiness or the Tao, also becomes a possibility. So the implication of Ziran is the ultimate goal of behaving, acting and thinking naturally in both your internal practices and your external behaviors in order to arrive at Emptiness, which Taoists refer to as the Body of the Tao. Ziran is very important in terms of the energetics of the body—yin and yang must become balanced on ever-more refined levels. The only way that balance can be maintained is if yin and yang are configured to flow freely inside of you as well as in the natural environment. Once you lose naturalness, the Taoists say you will go off into the mind of man. You get stuck on what you are thinking about. The human mind can create billions of thoughts that do not lead to any resolution or balance. The Taoists believe anything that is unnatural is ultimately unsustainable. 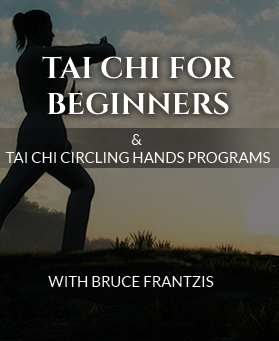 When practicing tai chi or qigong (chi gung), all movement should be natural. Nothing in the human body is linear. Even your bones are slightly curved because the gravity field creates a rounding effect. Thus all movements, including the way chi moves in the body, should have the quality of circularity and spiraling. This is the natural way of working with the force affecting everything on this planet. From the Taoist perspective, you do that which requires the least amount of energy and strain to be consistent with natural forces. You can look at any small aspect of human life and consider what may be natural about it. Maybe it is no longer natural when you subsequently connect it with larger aspects of the fabric of life. For something to be ultimately natural, it must not be in conflict with anything else. It must somehow flow smoothly both in temporary and long-term circumstances. For example, human beings often abuse and even kill other human beings. It is natural for animals to engage in these behaviors too. So, the question then arises: Is the natural state of a human being to be an animal or to move somewhere beyond animal instincts? As long as we remain purely animalistic, there is no way in which we will ever be completely in sync or in rhythm with the entire Universe because polarization to one very tiny, specific quality takes place and conflict emerges. As you go through the eight energy bodies of human beings, you may find that what is natural to one energy body may not necessarily be completely natural to another. Eventually you must find the ways in which the higher bodies can be integrated so that each is in harmony with all others. In Taoism there is tremendous emphasis on individuality. Buddhists say there are 84,000 passes of the Buddha. This means that there are 84,000 different ways human beings can practice.The Taoists had a similar phrase long before Buddha was born: There are 36 million passes of the Tao. Thus it’s true that some things are relatively natural to all beings and some things are more natural to one individual. However, this is not necessarily true at each stage of our evolutionary development because what is natural at one stage may not be natural at the next. There is relative and absolute understanding, but the Tao is the absolute. Until you consider the trillions of connections of all and everything, you are working on a purely relative basis. 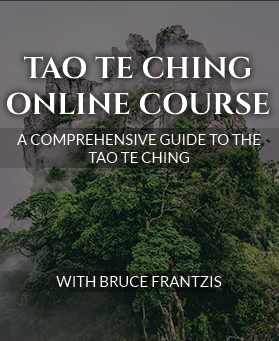 This is where the Taoists differ from most other traditions that have very clear rules about how to act. Taoists focus more on arriving at a natural state. Eventually you want to have synchronicity between chi and virtuous action. However, having more chi or more virtue will not create balance if the subparts that lie between them are not in harmony with one another. Many people keep on repeating the same negative habits. There is only the question of integration. What is it that gives you more of a sense of being whole? Greetings Bruce, and many thanks for your insightful posts on this site! You asked this same question at a meditation retreat in Oxford, England last year moments before an hour long dissolving session. During that period I experienced a very tangible sense of space within my body (the strongest I had ever felt) and came to realise that it was indeed the ‘space’ inside me that allowed for integration to occur. It made perfect sense that without ‘space’ there is only compartmentalisation of processes’; the opposite of integration. Once again, sincere thanks for your teachings on this subject. 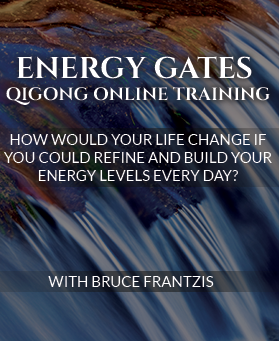 Thanks Bruce, your blogs are an excellent accompaniment to your teachings. And the opportunity to share comments with fellow travelers gives a nice sense of continuity when you practise on your own. In terms of integration of the energy bodies, when stuff shifts big time on one of the higher bodies I’m guessing you might expect to experience significant knock on effects on the bodies below, as you dissolve through the energy behind and behind and let things morph naturally as more and more bound energy is released. For a while now it has felt like I am observing and experiencing the very fabric of my being unravelling in multi dimensions, from the inside out and the outside in, in an attempt to realign the bodies in a state of harmony and balance. Curiously it feels completely natural although the conditioning of the rational mind throws up all manner of internal debates and objections, all of which seem entirely irrelevant, though it seems reasonable to explore them to some extent to make sure you don’t do anything really stupid. Powerful stuff but curiously not particularly disorientating because the naturalness just seems right, though I guess you could slip off the edge mentally if you don’t stay very grounded and simultaneously let stuff move towards resolution inside that big ol’ space inside the I-Ching! Does Taoism have anything to say about integrating the body of the individual — and its natural way — with the body of the social unit — and its natural way? Does anyone happen to know the characters or the pinyin for Tao Ziran? The pinyin is dao ziran.